What Is the Life Span of a Raven? Ravens are highly intelligent birds common to most countries in the Northern Hemisphere. They can live for decades in the wild, and they live much longer in the safety of captivity. As with most animals, longevity in the wild among ravens is difficult to measure due to all the threats to the animal that can cut ravens' lives short. 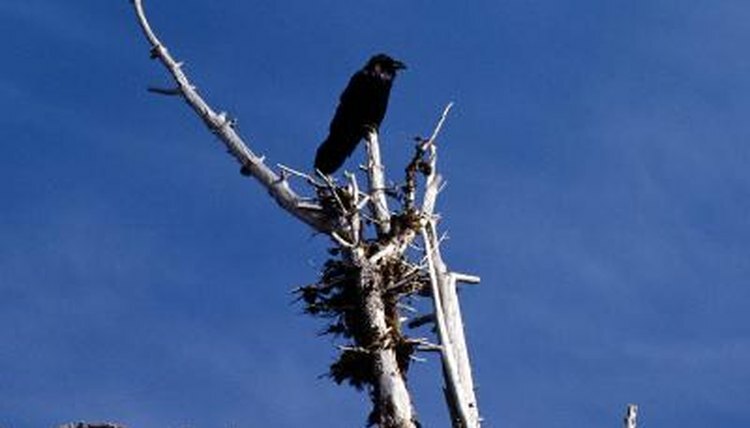 According to the Nature Mapping Foundation, only around half of ravens make it past their first year. The longest recorded life span of a raven in the wild was 21 years. Most live no more than 10 years on average. Without the constant dangers of the wild, however, ravens can live much longer. According to the Animal Ageing and Longevity Database, the longest-lived member of the species survived 69 years in captivity. The project received anecdotal reports of a raven that lived to the age of 80, but were unable to verify the story.